Our entire staff is dedicated to helping clients with their legal and tax matters. The law firm now known as Seifer, Murken, Despina, James & Teichman, A Law Corporation was founded by Monroe A. Seifer and Douglas G. Murken in 1979. While the firm began with a focus on tax planning advice, tax representation and tax return preparation, the firm has been providing competent, professional and affordable legal advice and services in numerous areas of the law, as detailed in this site, for more than thirty years. Seifer, Murken, Despina, James & Teichman, A Law Corporation is comprised of four experienced and skilled attorneys and two experienced and skilled tax accountants. 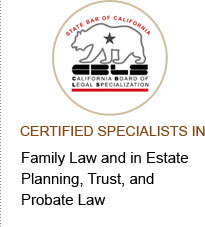 All of the professionals have earned advanced degrees and two of the attorneys are certified as a specialist in a specific practice area by the State Bar of California Board of Legal Specialization. Practice areas include taxation, estate planning, wills and trusts, probate, business law, real estate law, family law, personal injury and general civil litigation. As a result of more than three decades of dedicated, honest, skilled and creative hard work, and a commitment to obtaining the most beneficial outcome for each client, the firm has earned the trust and loyalty of thousands of clients. The firm has represented small business owners, professionals, rock and roll personalities, high tech startups, sports personalities, writers, artists and others. While the firm’s office has always been in San Francisco, the firm is proud to note that its clientele includes many loyal clients from San Mateo County, Alameda County and Contra Costa County. The office has been located at the same Marina District location in San Francisco for nearly twenty years, which location is convenient for the firm’s Marin County clients and accessible for Sonoma County clients as well. The firm’s motto is high quality representation and advocacy, with a common sense and no nonsense approach, at affordable rates.